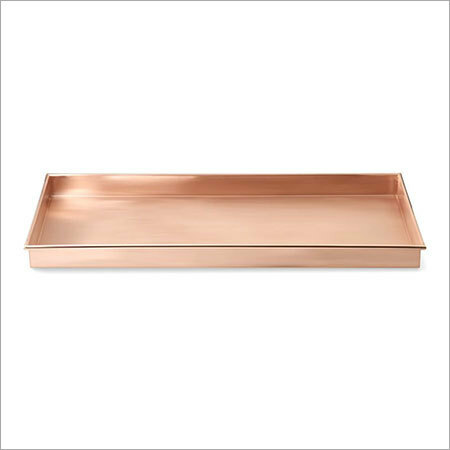 Trays have become a customary item to serve tea, beverages and other meal. 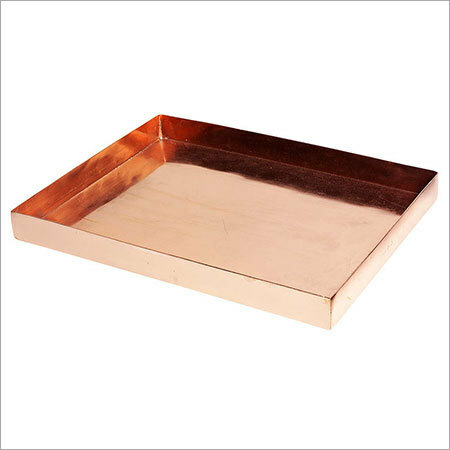 Today, copper trays have become an exclusive way to present the food and serve your guests in sophistication. 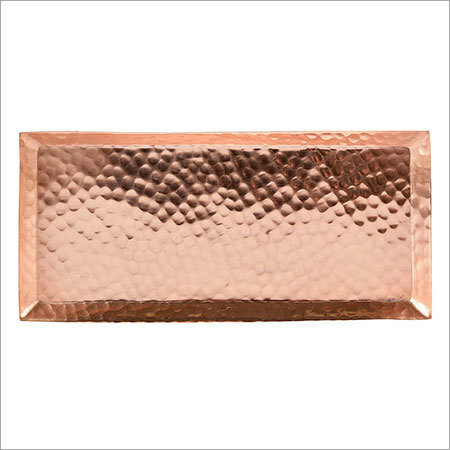 Designed from genuine quality copper, our range of Tray is handmade by skilled artisans. 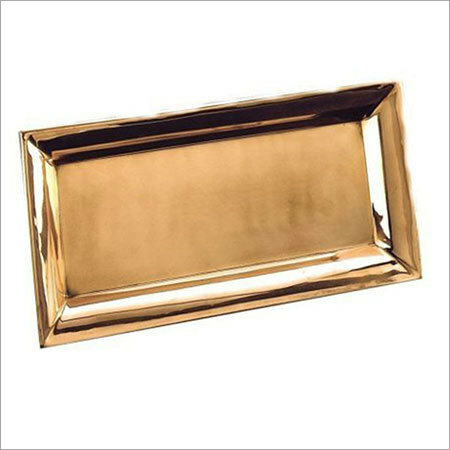 The range is inspired by classic designs to give an antique look with high end sophistication to the serving purposes. 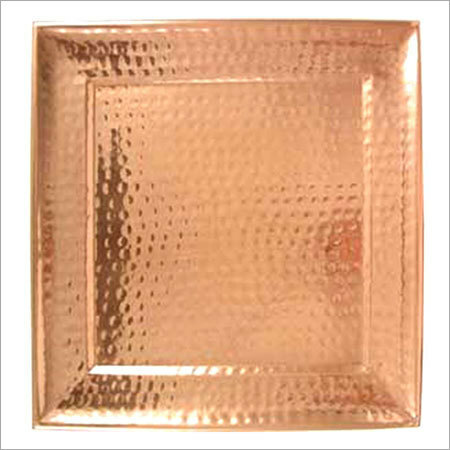 We have been offering the array in different sizes and designs in varied shapes from round to square. Our easy to wash and clean range is highly demanded in the market for unmatched durability as well as strength. A raised edge of the range keeps the food item in place without any sliding off while the tray is passed. 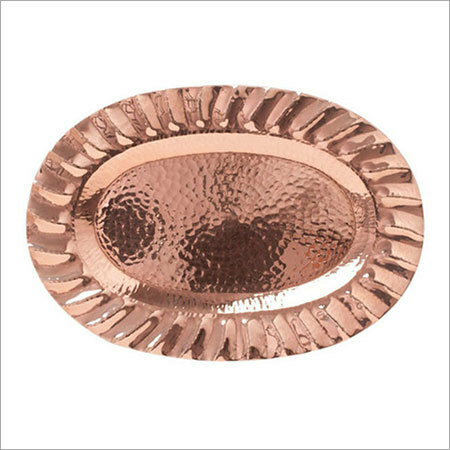 The array provides a beautiful way to delight your guests. In addition to this, it can also be presented as a housewarming gift, hostess gift a well as a wedding gift. 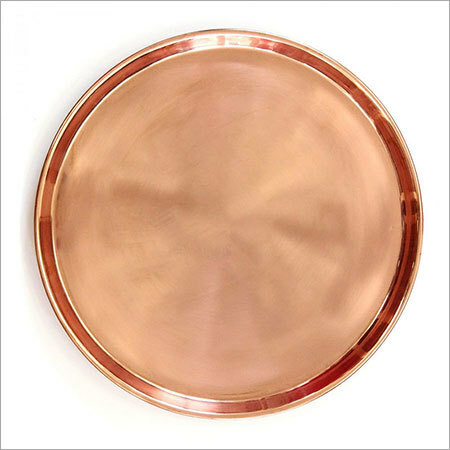 Renowned as a foremost exporter, manufacturer, supplier and trader of wide gamut of bar accessories, Nj Overseas is run under the supervision of Mrs. Nandini Singh. Set up in the year 2010, we have successfully manufactured the quality products using modern machineries. The clients trust our products for their durability, excellent finish, resistance to corrosion and elegant design. Copyright © 2016-17 by Nj Overseas Private Limited All Rights Reserved.